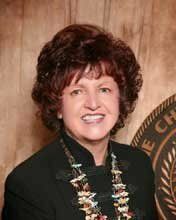 Donna Graham, Sequoyah County Tax Assessor, is retiring as of Jan. 31, and county officials will discuss her replacement at their next meeting on Tuesday. 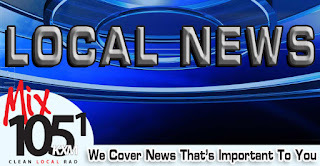 District 2 County Commissioner Steve Carter, chairman of the Sequoyah County Board of County Commissioners, said Friday the county commissioners will be considering the appointment of Graham’s successor at the meeting at 9 a.m. Tuesday. The commissioners will meet on Tuesday instead of Monday due to the New Year’s holiday on Monday. Carter said he has received several calls from people interested in applying for the job. About two years remain on Graham’s term. She was re-elected to the tax assessor post in 2014. 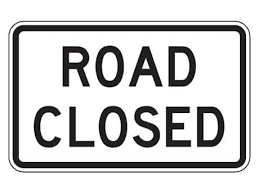 District 2 Sequoyah County Commissioner Steve Carter said Friday that Indian Road will be closed starting Friday for repair of a culvert which has failed. The repair will cost about $800,000, Carter said. He explained that federal dollars will pay for the repair and will be administered through the Oklahoma Department of Transportation (ODOT). “It will be a good-sized job,” Carter said. Glover Construction of Muskogee won the bid to repair the road and has 30 days to complete the job. But Carter said it is expected the replacement will take about 20 days. Glover Construction will replace the culvert and about 100 feet of the road will be resurfaced. Recent traffic counts show about 1,200 vehicles use the road daily. Indian Road is in northwest Sequoyah County and runs from near Fin & Feather Resort to Keys. About two and a half miles of the road are in Sequoyah County, he said. 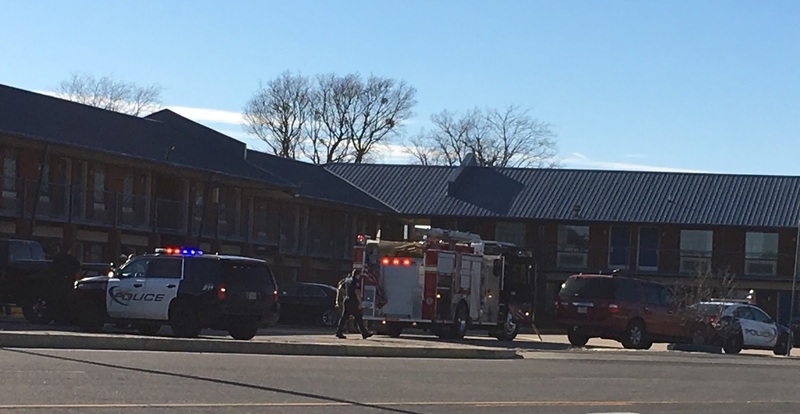 A mattress fire at a Sallisaw motel on Friday was caused by a cigarette, Sallisaw Fire Chief Anthony Armstrong reported. 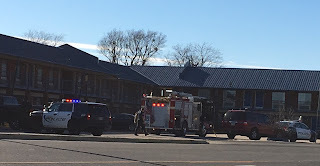 Armstrong said the Sallisaw Fire Department was dispatched at 2:26 p.m. Friday to a fire at American Best Value Inn on Sallisaw’s west side. Armstrong said the fire was in Room 103. The couple renting the room had been to the nearby dollar store and arrived back at the room before the fire department. The man grabbed a motel fire extinguisher and had the blaze out by the time the fire department arrived, Armstrong said. The couple reported they suffered from smoke inhalation, Armstrong said, and an ambulance was called so EMTs could check the couple out. They were found to be all right and no one was transported to a hospital. Armstrong said firefighters removed the damaged bedding, and the room sustained heavy damage from the fire extinguisher, water and smoke. The motel relocated the couple to another room, and the Red Cross was called to assist the couple with replacing items they lost in the fire, Armstrong said. The Oklahoma Blood Institute (OBI) needs donors to save lives in 2017, and has three blood drives scheduled in the area. Winter can be a difficult time for blood donations, but Oklahoma Blood Institute urges donors to take just an hour to make sure the blood supply for area hospitals stays at levels necessary for live-saving procedures. Each donor receives a free, limited edition, long-sleeved t-shirt. This shirt is an exclusive gift for those who donate blood this New Year at Oklahoma Blood Institute donor centers and blood drives. 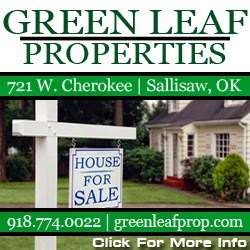 · Garden Walk Apartments, Webbers Falls, from 2 to 6 p.m. on Jan. 3. · Vian High School from 9 a.m. to 1:45 p.m. on Jan. 6. 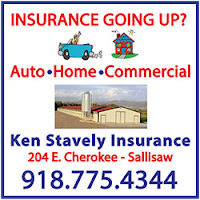 · Walmart in Sallisaw from 1:30 to 5:30 p.m. on Jan. 6. Donors also receive health screenings and Donor Rewards points, redeemable at OBI’s online store. 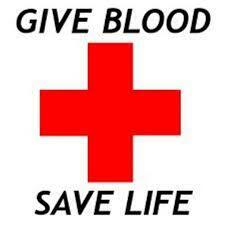 One blood donation can save as many as three lives, and the supply must be constantly renewed. If donors choose not to take the t-shirt, OBI will make a monetary donation to Global Blood Fund for blood center assistance in developing countries. As the nation’s ninth largest non-profit blood center, OBI’s donors provide every drop of blood needed for patients in 165 hospitals statewide. Appointments are not required but can be made by calling 479-652-2362 or visiting obi.org. Lindsey Green, 22, Vian’s first female police officer, wants to make law enforcement her life’s career. Her first day on the job at Vian was Dec. 3. Her first big arrest was on Christmas day. The pursuit started in Vian and went north on State Highway 82, reaching speeds over 100 miles per hour. Then the suspect finally stopped. Tyler Coles, 20, was not only speeding but also had a warrant for his arrest. Green arrested Coles for speeding, reckless driving and driving without a license among other charges. 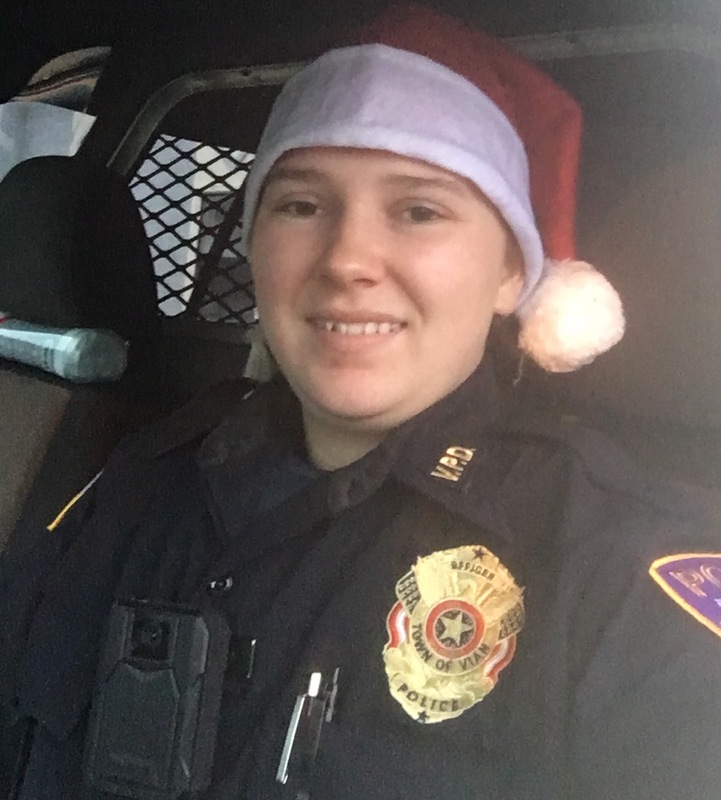 Green enjoys the work, and has been in law enforcement ever since she graduated from high school. She started as a detention officer for the Cherokee County Sheriff’s Office, where she worked for two years. She worked another year and a half for the Adair County Sheriff’s Office, then resigned on Dec. 1 after the Adair County Sheriff, David Hardin, lost the election. They recommended Green apply for the Vian job. “I was hired two days later,” she said. Hard worker describes Green well. On her days off she works on a dairy farm at Stilwell feeding the baby calves and at a Stilwell feed store. She is already CLEET (or Council on Law Enforcement Education and Training) certified, and has taken firefighter training. She begins EMT (or emergency medical technician) training on Jan. 12. “It’s train, train, train,” Green said. Green said she plans on a career of at least 20 years in law enforcement, but she hopes they will all be in small towns. 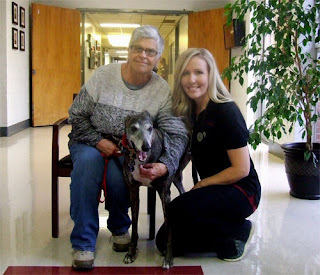 Cami Brutlag of Sallisaw, left, with her therapy dog, Molly the greyhound, visit with Amber Mahar, hospice director at Sequoyah Memorial Hospital Hospice and Home Care. The patients “love” visits from Molly, Mahar said. For those still in a giving mood this Christmas season, there are numerous volunteer opportunities in the area. One of those opportunities most appreciated is with hospice. Most home health care agencies in the area have a volunteer program with their hospice services, including Peters Agency and Sequoyah Memorial Hospital (SMH) Hospice and Home Care in Sallisaw. Amber Mahar is the director of SMH Hospice. SMH Hospice is a non-profit agency that provides end-of-life care to the terminally ill. The hospice team includes a medical director, nurse, home health aides, therapists, a medical social worker, a chaplain and the volunteers. Sequoyah Memorial Hospital hospice covers a small area and has, on average, 12 or so hospice patients at a time, and averages 10 to 12 volunteers. The volunteers range from students who need to accumulate volunteer hours for their respective programs, and who sometimes come back to work in the program, to moms who make cookies, to a pet therapist who likes to take her dog to visit patients not only in hospice care but in the hospital also. Hospice volunteers can take on any number of jobs Mahar said, from filing in the local hospice office to aiding patients and their families. Hospice care actually began as a volunteer activity, Mahar pointed out. Without volunteers’ efforts, hospices could not continue their work. Hospice care seeks to provide emotional support to patients and their families during a difficult time. It allows a person to die with dignity in his or her own home, if possible. Hospice helps dying patients stay as active and independent as they can. The volunteers who work with patients must listen to concerns, and help patients find their own answers to important questions. They keep the patient company, may read to the patients or just sit quietly in the room. They provide a link to the hospice staff, report on the needs of the patient and family, and are often the one patients and family members turn to for comfort, help and support. To become a SMH Hospice volunteer, the person will fill out an application and meet with the SMH Hospice volunteer coordinator Eric McDaniel. He must find out why the volunteer is applying and his or her experience. Many medical professionals are hospice volunteers, Mahar said. If a volunteer is accepted into the program, they will then take the training, which lasts about 16 hours, Mahar said. The training includes watching 10- to 20-minute videos, and reading about the service. “There are no tests,” Mahar said. The training covers the hospice approach to death and dying and how to put those ideas into practice; the psychological impact of death; patient care; procedures to follow after a patient dies; and universal precautions to protect against infection. Volunteers get an overview of the most common terminal illnesses; learn communication skills, or how to listen effectively; how to talk openly about death-related issues; and learn how family members relate to one another to deal with the individuals and issues. Volunteers must be emotionally up to the task. Once training is complete, the new volunteer will visit with patients under the tutelage of McDaniel or an experienced volunteer. Mahar said volunteers may be assigned to patients who share the same interests. One patient, she recalled, wanted to go fishing, and a fishing volunteer helped that patient. But volunteers don’t always work with patients. Mahar explained administrative volunteers may answer the phones, may do in-house filing, may paint the office or do carpentry work if experienced. Some volunteers prepare meals. Some do housework. One volunteer who likes to do yard work often mows the lawn for the elderly or ill without family to do the same. One woman likes to bake. Another volunteer, Cami Brutlag of Sallisaw, takes her therapy dog, Molly the greyhound, to visit both hospice and hospital patients. “The patients love it!” Mahar said. And most home health care services offer hospice care. Tara Moss is the volunteer coordinator with Peters Agency Hospice in Sallisaw. She said, “We are looking for many facets of volunteers. We are looking for people who have different talents and want to help our families and patients. “We are all about compassion for our patients,” Moss said. For information on volunteering with Peters Agency contact Moss at 918-775-6555, ext. 1. For more information on volunteering with SMH Hospice and Home care at 918-774-1171. 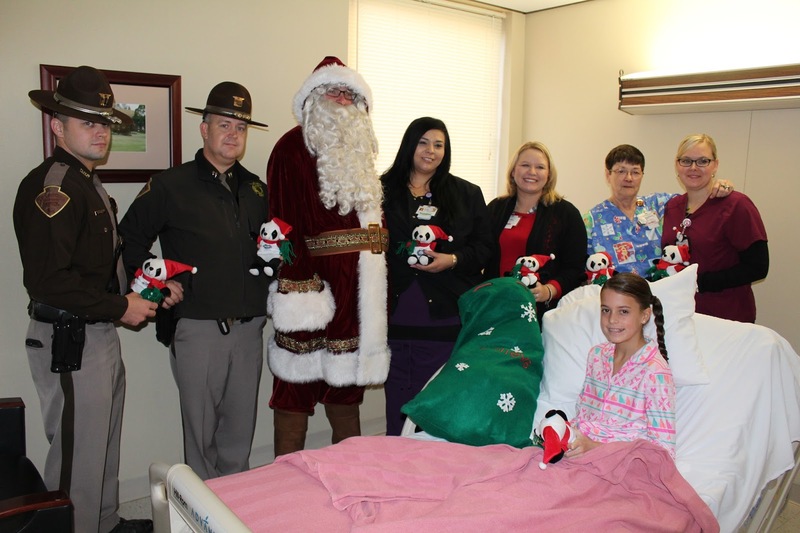 “Our patients sure are appreciative,” Mahar said. President Barack Obama granted clemency to 231 individuals on Monday, including seven Oklahomans, one of whom is from Muldrow. Daryl Lain Hook, now 68, was sentenced on April 2, 1998, at the age of 48, to 24 years and four months in prison after he pleaded guilty to charges of manufacturing and distributing methamphetamine. 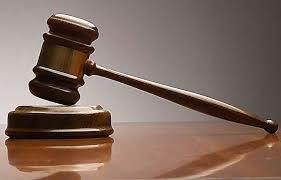 He was sentenced in U.S. District Court in Muskogee. He is serving the sentence in the federal prison USP Lompoc in Lompoc, Calif.
President Obama commuted the prison sentence to expire on April 18, 2017. According to appeals court records, Hook was arrested as the result of a 1996 investigation into the sale of large quantities of methamphetamine in Fort Smith and in eastern Oklahoma. A suspect implicated Hook as the source of the methamphetamine. A search of Hook’s home in Muldrow found Hook working at a lab table in a hidden room adjacent to the kitchen, $3,160 in cash, a loaded .22 caliber Beretta semi-automatic pistol, and everything needed for an operational and fully functioning methamphetamine laboratory, including equipment, chemicals, and finished product. A grand jury indicted Hook for manufacturing a controlled substance, possession of a controlled substance with intent to distribute, and possession of a firearm after conviction of a felony, and he entered a conditional plea to the drug counts. 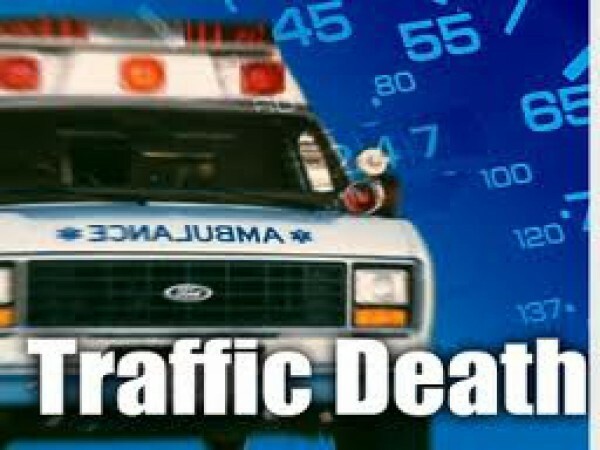 Fort Smith police identified the woman driver killed in a car crash following a pursuit from Roland into Fort Smith early on Thursday. They report the woman is Jessica Schwarz, 27. No town of residence was listed. 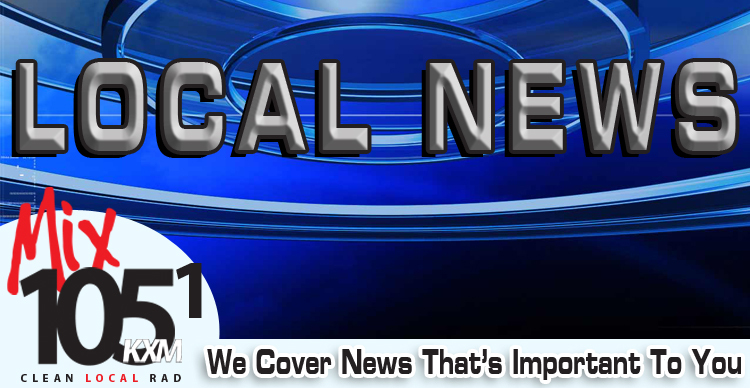 The chase began shortly after midnight in Roland, where police reported the chase began when Schwarz’s vehicle was clocked at over 70 miles per hour in a 45 miles per hour zone. Roland police said they did not continue the chase into Fort Smith where the driver crossed the bridge onto Garrison Avenue at a reported 120 miles per hour. Fort Smith police reported the vehicle crashed into Immaculate Conception School’s front wall on Rogers Avenue. Schwarz was pronounced dead at the scene. Blessing Boxes are blooming all over Sequoyah County, including a box set up this week in the Sallisaw Farmers Market parking lot in downtown Sallisaw. Shelly Asbill suggested the Blessing Box and had it built. The city then set the box up. 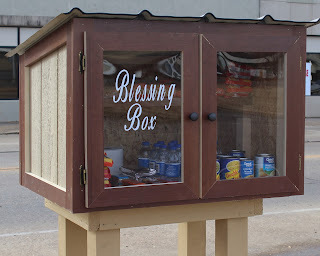 Blessing Boxes offer canned and packaged foods for anyone who needs a snack or meal, from students on their way home from school, to those in need, to itinerants who may have no money or food. The boxes are open so that anyone may donate to the box, and anyone make take from the box. The Cherokee Nation has named the dialysis center at the Redbird Smith Health Center in Sallisaw as the Janelle Lattimore-Fullbright Dialysis Center. The Cherokee Nation Tribal Council passed the resolution naming the dialysis center on Dec. 12. The late Janelle Echo Lattimore-Fullbright of Sallisaw served as a tribal councilor from 2007 to 2015. During her tenure on the tribal council she served her final term as the deputy speaker and health committee chairperson. Fullbright also served on the Cherokee Nation Gaming Commission and most recently on the Cherokee Nation Business board of directors. Mrs. Fullbright was instrumental in getting the dialysis center in Sallisaw. She died Dec. 10 at the age of 70. Services were held Dec. 14 at Immanuel Baptist Church in Sallisaw, and interment was in Akins Cemetery. A retired school teacher, Mrs. Fullbright was the daughter of Samuel Loyd and Juanita (Garvin) Lattimore. The six employees who were fired by sheriff-elect Larry Lane in early December will keep their jobs, Lane told the media last week. The employees, an office worker, deputies and an investigator, hired Chip Sexton, a Fort Smith attorney, last week to look into their dismissals. Sexton said the employees filed a grievance under the just cause policy of the sheriff’s department. Lane ran for the sheriff’s post on a drug-investigation platform, and defeated incumbent Sheriff Ron Lockhart on Nov. 8. He will take office in January. Lane told the media he had dismissed the employees because he has a plan in place for a certain direction for the sheriff’s department. A Christmas party, with special guest Santa Claus, will be held at the Vian Peace Center, Community Food Pantry and Youth Services from 4:30 to 6:30 p.m. Thursday. 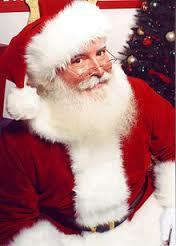 Gifts will be given to the children who may visit with Santa. Refreshments will be served. This event will be the last food distribution for 2016. The Peace Center is also accepting toys and gifts for Christmas. These donations may be dropped off at the Peace Center or the Dollar General store in Vian. Sequoyah National Wildlife Refuge at Vian and Tenkiller State Park will be offering free Eagle Watch Tours beginning in January. These tours provide the public with an amazing opportunity to view bald eagles in their natural habitat. Chad Ford, outdoor recreation planner at the refuge, said he and Leann Bunn, naturalist at Tenkiller State Park, lead the tours. The tours will be held at the refuge on Jan. 21 and 28, Feb. 4, 11, 18 and 25, and on March 4. Participants meet at the refuge headquarters at 9 a.m. and the tours conclude at about noon. The tours are free and no pre-registration required is required. Ford said Bunn and he lead a short discussion on bald eagles and show a short video before the tour begins. The tour is by bus, and the tour will stop along the way to view bald eagles at their nest sites and other wildlife which might present itself. “You might see something rare, like the golden eagle we saw last year,” Ford said. Ford said the bald eagles usually begin their families in December or January. Southern Bald Eagles typically lay eggs during the months of December or January, and incubate the eggs for about 35 days before they hatch. After the eggs hatch, the real work begins with both adults providing continual care for the young over the 11- to 12-week period until the young birds fledge or leave the nest. Ford said tour guests may bring their cameras, spotting scopes and binoculars. The tour also has spotting scopes and binoculars for tour guests’ use. For more information on the tours contact the refuge at 918-773-5251. A Vian man, charged with second-degree murder, will go on trial during the next jury trial docket, which begins Feb. 6 in Sequoyah County District Court, Sallisaw, according to court records. Michael Dean Buster II, 24, is accused of the Sept. 29 beating death of Pliney Dane Crum, 31, at Crum’s home north of Vian. Buster pleaded not guilty to the charge. A second Vian man is also accused in Crum’s death. Kyle Reece Major, 33, also pleaded not guilty to the charge of second-degree murder, and his case is on an April 13 jury trial sounding docket in district court. A trial date could be set at that time. According to investigators’ reports filed with the charges, Buster was found at Crum’s home, and admitted to killing Crum in a fist fight. He said the two had been drinking and Crum was calling him a name. Buster told investigators he blacked out and when he came to he was sitting on top of Crum hitting him in the head. He said he then went across the road to McQuick’s convenience store and asked that 911 be called because “he just killed someone.” That statement led witnesses to the unconscious Crum. Buster was arrested at the scene. Crum died the next day at a Tulsa hospital. Major was arrested Oct. 1, 2015. According to the investigators’ reports, Major at first denied being at the scene, although he did admit he took Buster to Crum’s home, but said he left before the fight. But surveillance tape from McQuick’s store, obtained by the investigators, shows Major leaving Crum’s home just 10 minutes before Buster runs across the street to ask for help. Major eventually told investigators he was at the residence during the fight and related how the fight occurred. He said he told Buster to run for help and that he tried to revive Crum. According to the report, Major said Buster was “freaking out,” and he was afraid Buster would attack him, so he left. 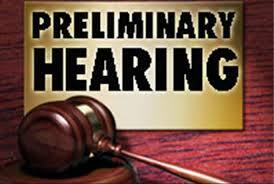 A preliminary hearing will be held Feb. 9 for Michelle Scoggins, 45, of Vian. Scoggins is charged with murder in the first degree, deliberate intent, in Sequoyah County District Court in Sallisaw. Scoggins is accused of stabbing her husband, Billy Mar, 48, on Oct. 11 at their home in Vian. Mar died the next day in a Fort Smith hospital. Before his death he told police that his wife stabbed him in the abdomen with a filet knife while she was cooking. Wesley Cherry of McAlester, with the Oklahoma Indigent Defense System (OIDS), represents Scoggins. He said she has entered a not guilty plea to the murder charge. Sallisaw City Commissioners, at their meeting last week and voting as the Sallisaw Municipal Authority (SMA), approved expanding DiamondNet wireless internet service north to Stilwell and west to Gore and Webbers Falls. The service will also be available to all those along the way, and could be available in eight weeks or less. Working on building the network will begin immediately. City Manager Clayton Lucas told the commissioners that DiamondNet currently offers high speed, wireless internet service to Vian, Gans, Akins, Hansen, Brushy, Marble City and other rural areas. 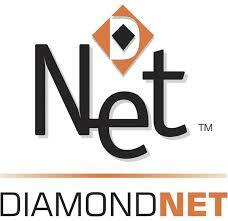 There are about 300 wireless internet customers who currently subscribe to DiamondNet, with a projected revenue of more than $165,000 annually. This number increases monthly as more subscribers sign up. 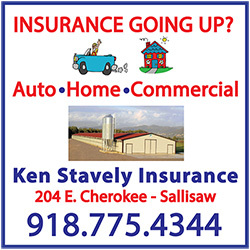 It was recently announced that Stilwell’s only broadband internet service provider shut down on Oct. 18. Staff has received numerous phone calls from residents in the Stilwell area asking if DiamondNet will be available in their area. This began the discussion of DiamondNet's service area boundaries and how far out the Sallisaw Municipal Authority wanted to take DiamondNet's wireless internet product, specifically if the SMA wanted to expand outside of Sequoyah County. Lucas said that, in order to expand to Gore, it would cost about $6,000, which would pay for itself with 10 customers over a one-year period. Expansion to Stilwell will cost about $10,000, which will pay for itself with 17 customers over a one-year period. Expanding to Webbers Falls will cost about $2,000, which will pay for itself with four customers over a one-year period.